Each time you correspond by mail with a client, you have an opportunity to put you and your company in its best light. Letterhead customized by you using our insurance letterhead templates can pit your agency as an authority in your niche. Use our templates along with our intuitive online editor to add as much or as little detail to your letterhead as you like, whether you are going for a modern, traditional, elegant, or other vibe. Add your logo, slogan, tagline, mission statement, or other elements to truly own the design and make a big impression. 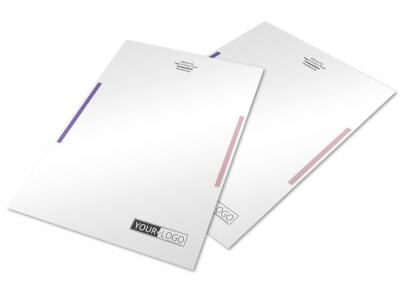 Print your letterhead for immediate use, or let our printing pros rise to the challenge to print your letterhead on premium paper with high-quality inks.